I have a lot of traditions that I follow at Christmas, one of them being that I like to purchase the girls atleast one new Christmas themed book. This year I was lucky enough to be sent one to review. 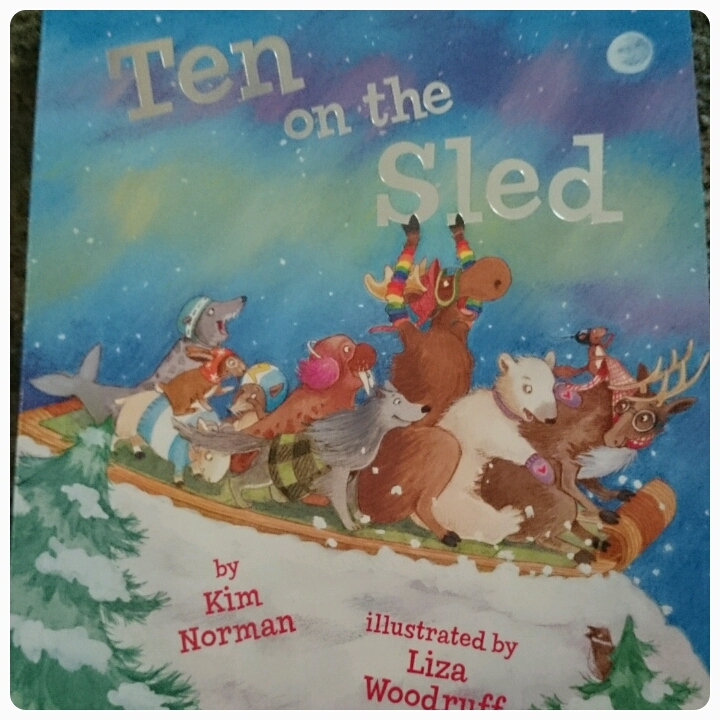 Ten On The Sled by Kim Norman is a beautifully festive book, perfect for children and families. … and a grand, snowy adventure was launched. Climb aboard - there's always room for 1 more. 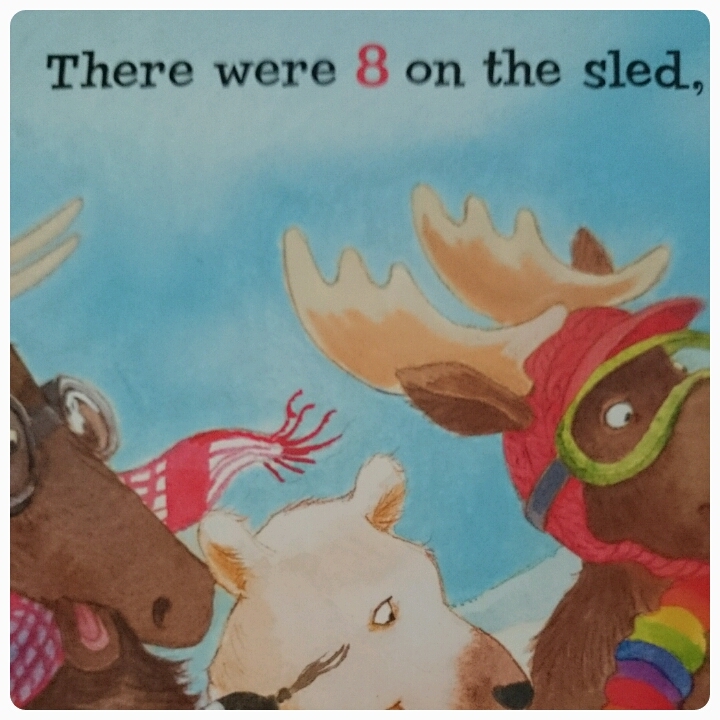 It is a board book with 22 pages, filled with rhymes, counting and most importantly, fun.The story counts down as different animals falls out of the sled that they are riding in. I like this book because as well as being entertaining, your children are able to learn as they read. Numbers on each page teach your child about number recognition and counting. This was brilliant for my four year old as number recognition is something that she has struggled with recently. Each number is a different colour to the rest of the writing so it really stands out. Something else to see and talk about is the different animals used. From seals and hares to sheep and foxes. 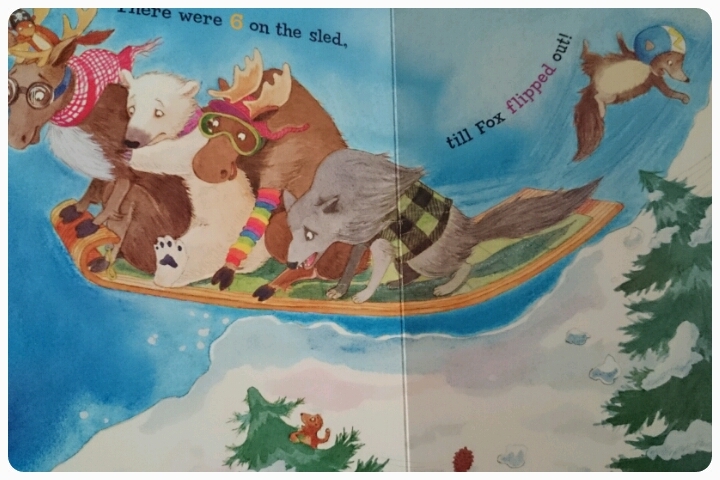 We were trying to guess which animal would end up sliding out of the sled before we turned the page. Mixed in with this is the use of rhyming words, it was brilliant to hear my kids pointing out which words rhymed with others, and to extend this further, I asked them what other words they could think of that rhymed with the ones they'd already picked out. Gorgeous illustrations from Liza Woodruff finished the book off wonderfully. Snowy scenes, wintery skies and adorable animals. The pictures are both modern and magical, really drawing you into each image. Priced at £5.99, Ten On A Sled is a brilliant family Christmas book. I would say suitable for baby up to about 10 years old. Perfect bedtime reading too.